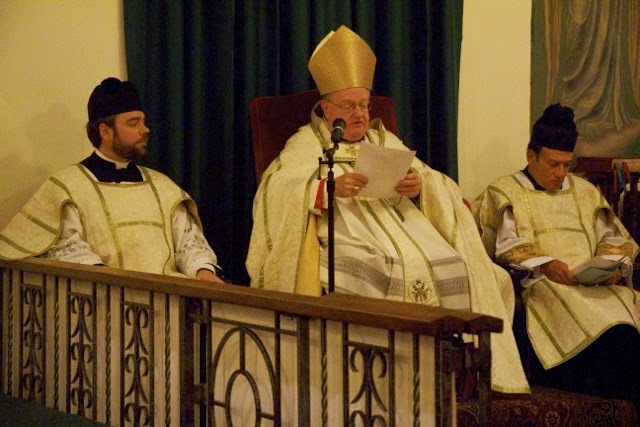 The Most Reverend Dennis J. Sullivan, Bishop of Camden, honored us with his presence at Candlemas this year. 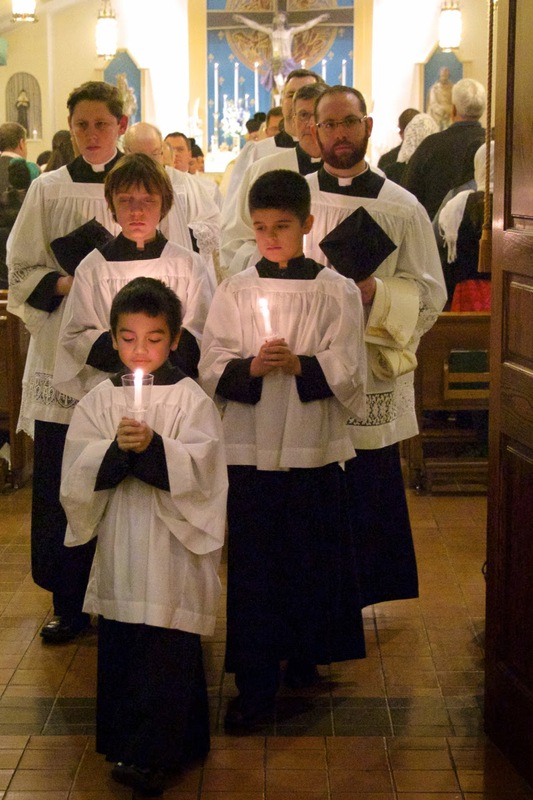 The bishop blessed the candles and led the procession. 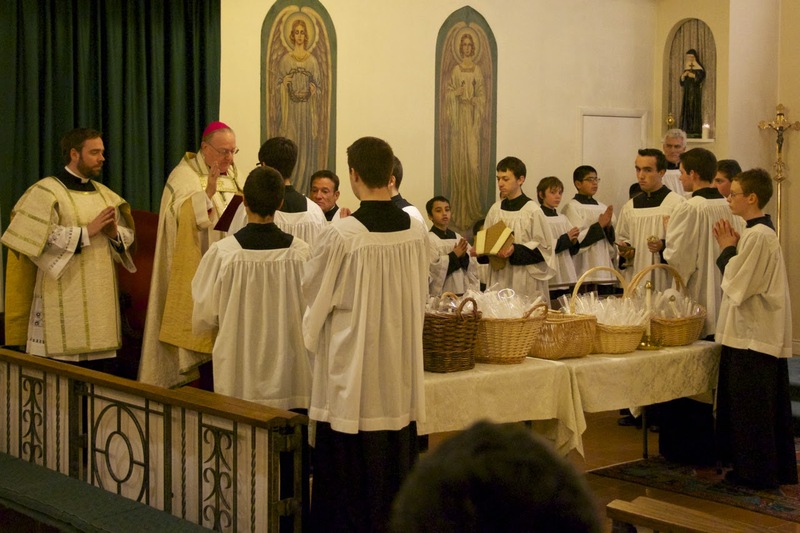 A solemn Mass followed at which he presided. 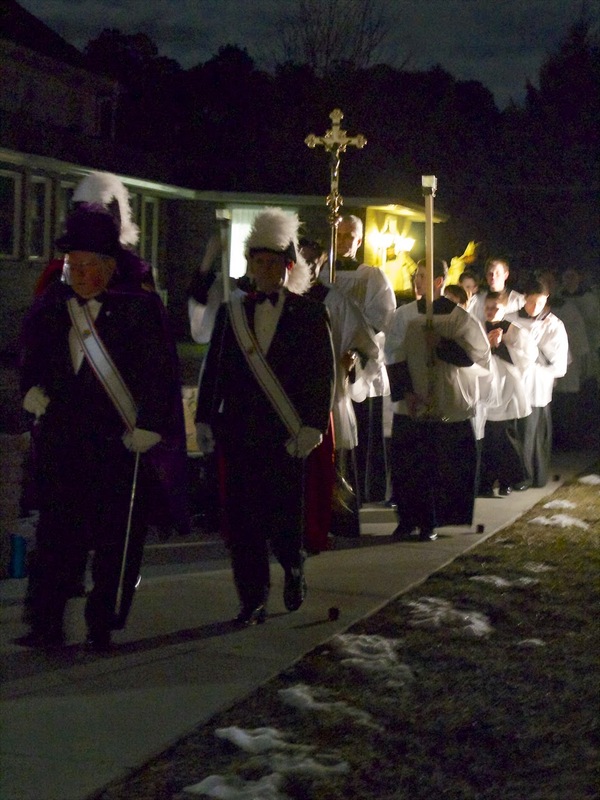 The procession began at the rectory and proceeded outside to the Church. The Candles are brought to the bishop and he sings the five prayers. 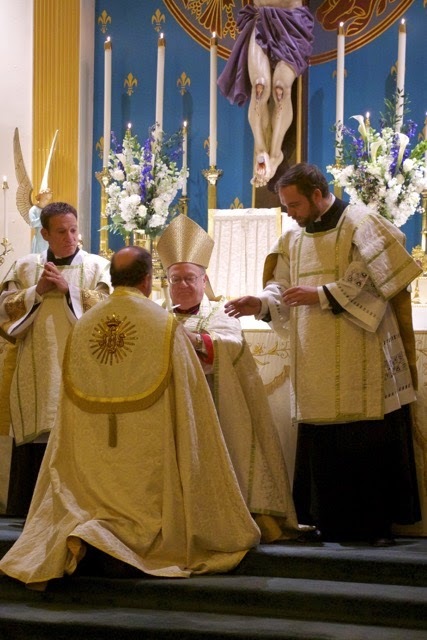 After the prayers, the sprinkling with holy water, and the incensation, the Bishop is seated and reads a short instruction about the significance of this rite. As rector, I go before the bishop and present him with the candle he will carry in the procession. He then presents me the candle I will carry. I kiss the candle and then his hand as signs of reverence. 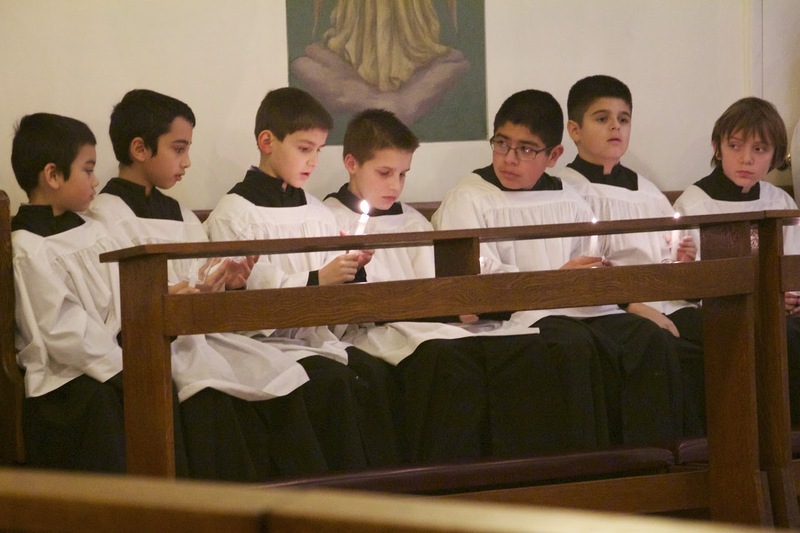 The altar servers light their candles and get ready for the procession. The procession led by the servers then the priests leaves the church. 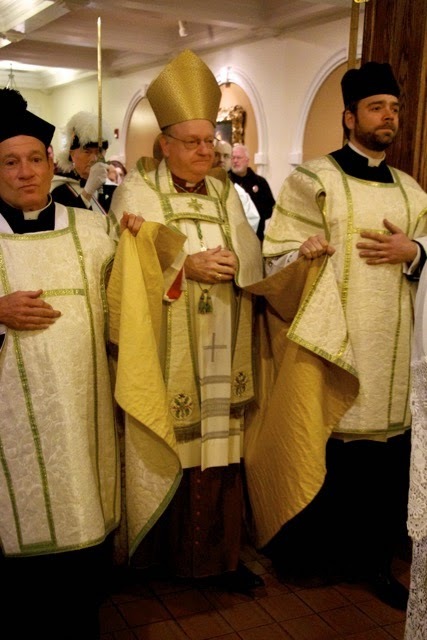 Thanks be to God 22 priests were present for the procession this year. 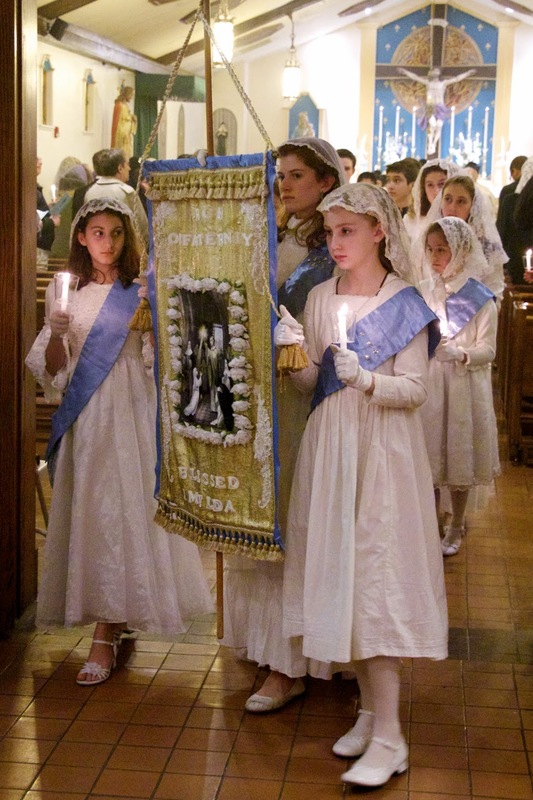 The people followed the Bishop and were led by the girls of the Blessed Imelda Society.